These kids are lookin' sharp. 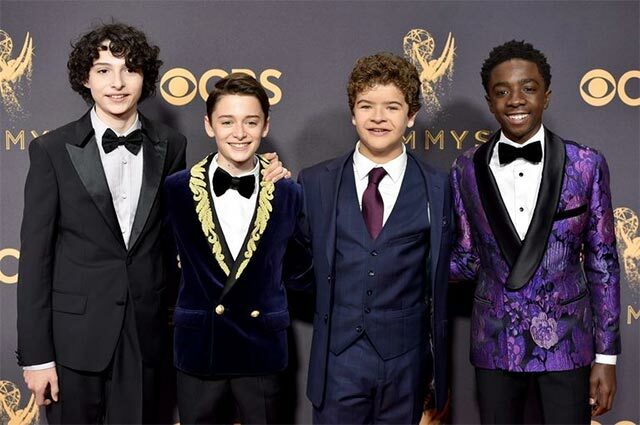 Sure, other people attended the Emmys red carpet in L.A., but none of them (so far) compare to the kids from Stranger Things, who looked dapper AF. 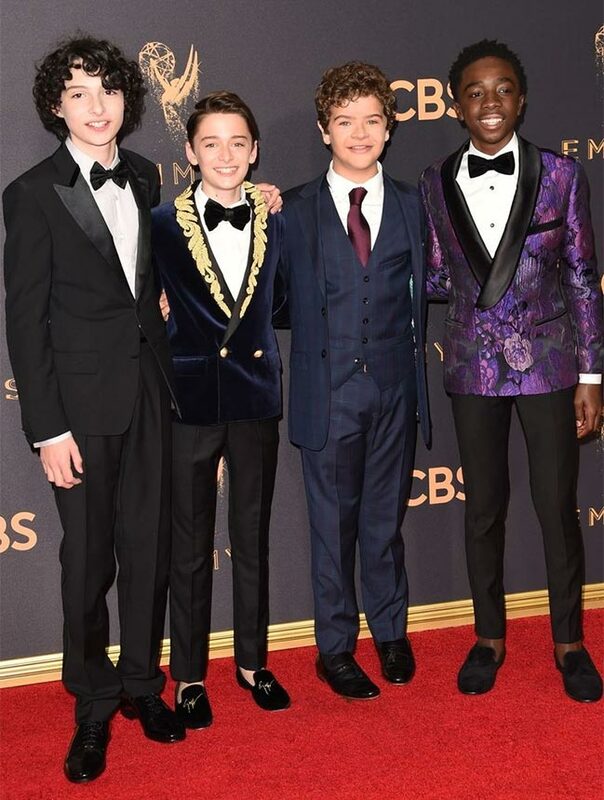 Finn Wolfhard, Noah Schnapp, Gaten Matarazzo, and Caleb McLaughlin were sharp in a tux, a blue velvet creation with gold-embroidered lapels, a three-piece suit, and a purple floral blazer respectively, and I just can't. It's too much. Dying at it up close. Millie Bobby Brown also showed TF up. Take a peek at her sweet strapless dress, which featured a very dramatic skirt. Seriously, that thing could take someone out.